Science has pointed to the benefits of turning to God. Faith in God has been found by researchers to correlate with health and happiness, increasing the lifespan. Duke University researcher Harold G. Koenig has conducted pioneering research which shows prayers can shield people from sickness and abate the symptoms, aiding in faster recovery. A deep and insightful study of more than thousands of known medical studies suggests those with more faith and prayers on their side can access better physical and mental health. Of a meta-analysis of 125 studies that examine the association between health and steady worship, research has shown in 85 of these found that regular churchgoers can sustain longevity through continued prayers. Koenig, the director of the Duke Centre for Spirituality, and allied topics has said the link between faith and recovery should never be underestimated. Prayer also has a remarkable impact on patients with visual and hearing deficits. Following prayer sessions, there was considerable improvement associated with audio-visual tests, which indicates devout religious faith and a strong sense of spiritual commitment can lead to better coping. People who pray to cope better with stress experienced extensive well-being and are more optimistic and less anxious and depressed. Faith in God is correlated with less suicidal tendencies. Those who pray have stronger immune systems, lower BP and better cardiovascular functionality. Prayer is an overwhelming therapy for mental as well as physical health issues, Religious belief has medical, social and psychological benefits. The benefits of being a believer with faith cannot be denied when it comes to prolonging life. Texas University researchers in 2006 found a link between the frequency of visits to church and life length. Scientists have found that attending religious gatherings is associated with adult mortality in a gradual fashion. A 7-year difference in life expectancies exists between those who attend church every week and those who do not, pointing to the healing power of prayer. In another study of 2000 persons by the American Journal of Public Health, researchers found that those who prayed were less likely to die than those who did not. Around 4,000 senior adults in another study showed that atheists had an increased possibility of dying over a 6 year period as against the believers. Even if they do not attend church, religious people live for more time than atheists. The American Society of Hypertension set up in 2006 indicated that regular churchgoers have lower BP than those who lack faith. Scientists have also found those with belief in God recover from breast cancer more quickly than those who lack belief. Better outcomes are available when it comes to recovery for coronary disease or rheumatoid arthritis. Studies also show those who pray are less likely to bear children diagnosed with meningitis. Researchers and scientists a hospital looked at the impact of prayer on 393 heart patients. 50% of those who were prayed by strangers were on a faster road to recovery, with fewer chances of complications, pneumonia, and drug treatment. Recovery was faster and so was the release from the hospital. Sociologist Wendy Cadge evaluated 18 published studies on intercessory prayer conducted from 1965 to 2006. The studies provide rich insights into American demographics, contributing ideas about the link between religion and medical science. Prayers affect health. But what researchers and policymakers want to know is whether it is for better or for worse. Some studies conclude prayer improves health while others indicate prayer may lead to worsening effects. Much of the confusion stems from conducting double-blinded, controlled trials. Proximal intercessory prayer is the best way to gauge the impact of using prayer. Prayers work in the US, and across the world. Multiple methods have been used to answer questions about prayer for healing. Medical records post and pre the prayer sessions provide a check on whether people who opt for healing exhibited improvements in the absence of obvious reasons. Some cases of healing as a result of faith-based intervention have been recorded. Sufferers perceive healing prayers can reduce the impact of pain. Healing, in several survey studies, led to considerable symptom improvement. Those who reported more faith and received multiple prayers for the problem noted a progressive improvement with every prayer. Prayer and medicine complement each other. These have also shown that health outcomes of prayer can be measured and there are measurable changes in key health markers following studies of hearing and vision. Multiple observations show enduring changes as a result of prayer and healing. Ripple effects of prayer have spurred faith movements in different parts of the world. Does prayer provide a cushion in burdensome times? To find out whether this holds true, a graduate student interviewed 62 domestic violence victims. 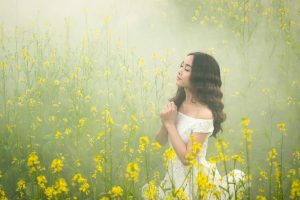 Choosing to speak with a higher power helped the women to cope with emotions and abusive situations and express anger without fear of judgment or painful retaliation. Around 75% of those in the US pray either daily or weekly. Examining the psychological impact of the practice, real-life conversations with God can have the same impact as social interaction for those who are isolated or victims of abuse or violence. Prayer can also be invoked at any point in time, making it the ideal alternative therapy. A survey of US adults between 2006 and 2007 by Lim et al found that life satisfaction was directly impacted by those attending religious services and had close connections with the congregations. But social effects of religion can also be negative in that they may keep abuse victims from getting out of violent situations. In another study, researchers found that on analyzing people’s brain activities, thinking about God lowers anxiety and distress and this works more so for those who are believers. Doing yourself a favor through prayers can actually thicken the brain cortex and stave off depression according to researchers. A Columbia University researcher found that those at high risk of depression were more likely to have thicker cortices if they valued God and prayed regularly. The cortical thinning is an indicator of impending ill health and mental sickness. Prayer influences the state of the mind and helps in relaxing and reducing the effect of stress on various bodily organs. This does not only reduce mental stress but also beats physical stressors and emotional responses. Prayer can also reduce the risk of developing anxiety and depression. Dealing with an emotional onslaught, prayer brings inner strength to cope with external stressors. Another U-Penn study found that prayer can boost levels of dopamine in the brain, creating peace and happiness. Prayer is also known to offer quicker healing of surgical scars. When the body is out of sync, there are lesser resources available for healing wounds. Prayer improves one’s immunity. Praying has shown tremendous benefits for heart health and life span. A Pew Research poll in 2013 found that over half of Americans pray each day. Over 75% as per a 2012 study found prayer to be a critical part of life. Praying has been found beneficial for the person praying, whether they are praying for others or themselves. This stems from the impact the act of praying has on the mental health and well-being of an individual. Compassion towards others which is felt is something good for the person who is praying. Prayer also has similar effects as meditation and yoga which then translates into physical effects. Benefits to mental health and well being due to prayer impact physical health, too. Prayer can improve a person’s mental well being by reducing stress and anxiety. This, in turn, translates into better physiological functioning like lower levels of the stress hormone cortisol, lower BP and enhanced immune functioning. Further, a 2009 study found 6 in-person Christian prayer sessions per week with patients at a primary care office reduced depression and anxiety levels and increased optimism. Prayers were led by a lay minister, and patients sometimes joined in to pray. It is uncertain if the effects are the result of praying or being prayed for. Other studies have found prayer decreased pain symptoms post a C-section and improved the quality of life in women facing radiation therapy. Prayer is a personal experience that is unique for each person. Prayer essentially refers to any act of praise, devotion or thanksgiving to God, and the universe or simply a significant other. Close to 55% of individuals in the United States pray each day. More pray once per week or month. Science has never been able to prove whether prayers are truly answered through a higher power’s intervention. However, research does show prayer improves physical, emotional and mental health. It is essential to find prayer meaningful in life. If one is doing it for personal gain or out of a sense of obligation, research shows it can have a negative effect. On the other hand, prayer, meditation or other religious and spiritual practices that maintain focus outside of the self yield the most benefits. Scientists see the strength model of self-control, suggesting cognitive resources like physical ones, have less strength. By the end of an extended day, sometimes going out for a workout or making nutritious food choices is something just too tough to work on. German research found prayer can boost self-control and counteract mental fatigue. Those who pray prior to mentally demanding tasks are able to complete tough tests later without showing cognitive depletion. Those not praying prior to the test, on the other hand, did not perform so well on the evaluation. Research conducted by Queen’s University postulated similar findings. Across 4 separate experiments, participants showed greater self-control when religious concepts were present. Prayer can impact close relationships in significant ways. Research has demonstrated that praying for a friend or significant other increases your forgiveness towards them and fosters greater relationship trust. Research also shows romantic relationships are more faithful and there are fewer chances of infidelity when partners pray for each other. Additionally, a study examined how people felt about sacrifices made in close relationships. This is a good indicator of overall satisfaction with a relationship. Praying for someone close to you increases satisfaction toward making sacrifices for the relationship. This helps to resolve relationship conflicts and promote a sense of better understanding and closeness in a relationship. A study conducted by University of Florida researchers revealed that over 96% of elderly adults used prayer to cope with stress. Prayer was, in fact, most frequently reported as an alternative therapy seniors use to feel better and maintain good health. A third of the survey participants also reported using spiritual methods to improve health, including imagery, art therapy, music, energy healing, meditation, humor, and faith-based counseling. Elderly individuals who used spiritual techniques or prayed were also found to have more positive, effective and independent or self-reliant coping techniques. Harvard Medical School researchers have found relaxation techniques like yoga, meditation, and repetitive chants, prays can activate disease eradicating genes in the body. Relaxation and spiritual practices are closely linked when it comes to switching on genes that protect you from many disorders such as high blood pressure, cancer, rheumatoid arthritis, and infertility. The more regularly relaxation is practiced, the more benefit is received. Prayer also improves overall well-being. This is on account of the fact that prayer, meditation and other spiritual and religious practices can raise dopamine levels. Dopamine is happiness and pleasure related neurotransmitter released when you are in grips of positive emotions. This enhances amazing emotions, motivation, and cognitive capabilities. Healthy dopamine levels also prevent anxiety and depression. Another research study found adults at high risk for depression, on the basis of family history. People at risk of depression show thinning in certain parts of the brain’s cortical regions. Brain scans on those who value religious or spiritual practices showed thicker cortices as against those who were not spiritual or religious. People who were spiritual had 90% less chance of developing a major depressive disorder. Research by the Bowling Green State University found spiritual meditation or prayers even lowered the number of painful headaches experienced. Researchers asked individuals suffering from migraine to meditate for 20 minutes per day by repeating a positive chant about God. On the other hand, a second group was asked to chant a non-spiritual mantra. After exactly one month, those who repeated spiritual chants had a lower incidence of headaches and more pain tolerance. Neutral mantras, on the other hand, appeared to have zero benefits. A research survey published in the Journal of Gerontology found that among 4K senior citizens, the elderly people who prayed and meditated regularly had better coping skills and lived longer than those who did not. The results are likely to be due to a combination of proven benefits of prayer for boosting overall mental, as well as physical health. 2 studies at Florida State University further found praying for a person increases your ability to forgive that person. In one study, people who prayed for a romantic partner had fewer revenge based emotions and thoughts and were more effectively able to forgive and move on following a conflict. In yet another study, men and women praying for the well being of a close friend were more likely to forgive their friend and other people in general, as compared to those who only harbored positive emotions towards the friend. According to research by Psychological Science, forgiveness is associated with better overall health and life satisfaction. University of Miami researchers analyzed over 80 years of research and found religious practices like prayer improve the ability to pursue and attain long-term goals. Prayer impacts the region of the brain that raises self-control and people who view goals as worth the commitment put additional effort and energy into attaining this, according to Psychological Bulletin research. Numerous studies have found those who were religious were more likely to live a longer life. A meta-analysis of over 42 studies with more than 125K people found in addition to private prayer, attending religious services and being involved in church activities led to a healthier and longer lifespan. Praying in online support groups helped breast cancer patients experience less stress, lower levels of negative moods and greater positive mental health outcomes, as per a study of 97 individual patients at University of Wisconsin and Madison. According to the research reported in Psychooncology, belief in the afterlife reduced the fear of death, too. Teens who see religion as a meaningful extension of their lives are less likely to use drugs, especially during stressful times, according to Albert Einstein College of Medicine research, in a survey of 7th to 10th graders numbering 1,182 teens. Prayer also helped abuse victims to recover, gain a positive view of themselves and reduce emotional pain. 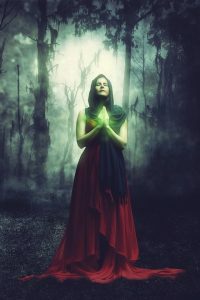 According to research conducted by sociologists at the University of Wisconsin-Madison, people who were abuse victims recovered faster from the trauma due to constant prayers. People who are religious are also less likely to suffer from post-traumatic disorders after having faced a violent relationship, as per Social Psychology Quarterly. A study of over 800 senior people found faith and church or religious service attendance offsets the toll of emotional and financial strain. University of Michigan researchers further found that prayer raises sense gratitude and reduces the negative impact of financial difficulties, according to the International Journal for the Psychology of Religion. For adults with a high risk of depression due to family history, religion and spirituality can be important tools to cope with mental health conditions. Such individuals are 1/10th time less likely to suffer from depression if they attend church services and follow religious practices, according to a Columbia University study. Those who were religious had fewer chances of depression and were, in fact, one-fourth as likely to develop depression as their non-religious peers. 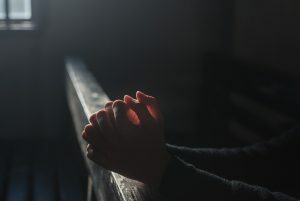 Various studies in the American Journal of Psychiatry show prayer and other religious practices alleviate or reduce depression, especially in those with a genetic history for it. A study involving 1413 adults conducted by researchers at University of South Florida found those who were most religious, through prayer with a positive focus, more participation in church services and use of faith to deal with issues and conflicts were happier and way more satisfied with their lives and financial conditions, according to the Journal of Religion and Health. Individuals with a positive, hopeful approach as part of their lives and pray before surgery before undergoing angioplasty were found to experience less depression and anxiety in the short and long term, according to studies by the University of Pittsburgh and University of Washington Health Sciences. However, those who pray only post surgery or take a negative view do not experience similar benefits. 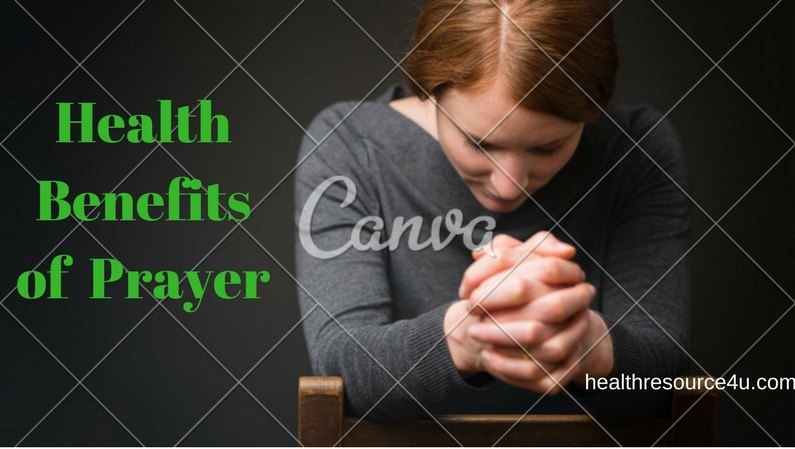 Another University of Michigan study reported in The Gerontologist found that among 151 patients tracked for a year, private prayers improved overall mood and state of well being. Further, a study of 367 prostate cancer patients at New York’s Memorial Sloan Kettering Cancer Center found those who derived a sense of meaning and peace from religion were less likely to experience depression and more effective in coping with their disease. The impact of religious practices and beliefs did not change as per age, stage of disease or marital status, according to the Annals of Behavioral Medicine. Researchers in Michigan-based Wayne State University studied the impact of religion on 88 individual who had suffered traumatic brain injuries. The researchers examined the functioning of the brain up to 2 decades post the injury. Those with the strongest connection to a higher power were less troubled, more satisfied with their lives and had a better chance of recovery according to the Rehabilitation Psychology journal. When faced with stressful events, older people with strong personal religious beliefs do not experience significantly increased blood pressure, according to research by Utah State University. In fact, these people react like individuals 30-40 years younger. Belgian researchers studied 202 individuals with chronic pain and found those who prayed with a positive attitude were less likely to be impacted by pain in everyday lives. Although on the physical phase, the degree of pain remained the same, patients who prayed were better able to manage it and had a more positive outlook towards life, according to the Journal Of Behavioral Medicine. Decreasing likelihood of alcohol addiction is reported among individuals who pray more and regularly go to church services, according to Duke University research of nearly 3,000 persons between ages 18 and 97. Watching or listening to religious TV or radio programs do not have the same impact, according to Hospital and Community Psychiatry. Children with higher educational expectations are likely to perform better in reading and math. The National Survey of Children’s Health further found school-aged children who attended religious services once per month were 50% less likely to repeat a grade, as compared to those who were less frequent, as per the Journal for the Scientific Study of Religion. A multitude of studies has shown individuals who practice and hold religious beliefs with a positive attitude have fewer health risks, as compared to studies which evaluated individuals using medical checkups and tests including weight, blood pressure, blood sugar, and cholesterol. In a study of nearly 6K Californians aged between 21 and 75 who attended weekly religious services lowered the chance of death and disease for women to the same degree as not smoking, not being addicted to alcohol or being physically alert and active. Benefits for men were not as pronounced, as per the International Journal of Psychiatry in Medicine. Whether you seek recovery from substance abuse or drug addiction, positive and strong religious beliefs are important to put you on the road to recovery, according to various studies. For example, analysis of data from Veteran Affairs hospitals showed that among 600 veterans undergoing substance abuse treatment programs, those were most religious were 34% more likely to not need readmission for further treatment. Other individuals did not show the same benefits, according to research in Psychiatric Services. In a group of 556 individuals with diabetes, researchers at the Medical University of South Carolina found attending religious services correlated with less likelihood of chronic internal inflammation measured as C-reactive protein. Inflammation indicates increased chances for heart diseases and diabetic complications, according to Diabetes Care. Recovering from the loss of a loved one is easier when you have faith, as Michigan University researchers found among 1723 individuals aged 60 or more. Those who believed in a good afterlife were less likely to develop high blood pressure post the death of a loved one. They were, therefore, in better health according to the Journal of Gerontology. Researchers at Harvard School of Public Health tracked more than 28K men between 42 and 77 for 10 years. Those lacking close friends or a social network and did not attend religious services increased the risk of death from fatal heart disease, according to the American Journal of Epidemiology. Helping individuals through religious activities increases satisfaction and improves the outlook on life, according to research published in Psychosomatic Medicine of more than 2K church members in various parts of the US. Giving help brought about more benefits than receipt of help. Research published in Anesthesia and Intensive Care found Australian researchers tested the anxiety levels of a test group of 120 children aged 5 to 12 when they were waiting to receive anesthesia for surgery. Those kids who had religious mothers were also less anxious. Numerous studies have shown a correlation between religious beliefs and practice and lower BP. Researchers at Duke University, for example, tracked nearly 4K individuals aged 65 or more and found 40% fewer chances of increased blood pressure among those studying the Bible every day and attending religious services at least 1 time in a week. Another study in the International Journal of Psychiatry in Medicine has shown regular attendance at religious services was linked to lower blood pressure. University of London researchers from England tested nearly 300 patients between ages 15 and 19 and discovered attending religious services were associated with 90% less likelihood of meningitis or inflammation of membranes of the brain or spinal cord. In fact, the percentage was slightly more than that associated with the meningitis vaccine according to the British Medical Journal. 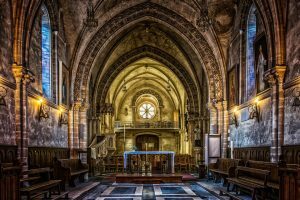 The researchers at Yale University School of Medicine moreover, studied more than 2K people over age 65 and found those who attended the religious services were less likely to lose mental focus and concentration in the years that followed. Besides arresting the cognitive decline, physical disability is also kept at bay using religious and spiritual practice, according to the Journal of Gerontology. For people with heart surgery, there are fewer complications and shortened hospital stay if they have strong religious beliefs. This is as per a study of 142 heart patients by the State University of New Jersey. Before surgery, religious patients were more optimistic and less angry or hostile than those lacking strong faith, in research published in Health Psychology. In conditions like fibromyalgia, stress reduction is assured because prayers keep cortisol, a stress hormone at bay. In fact, research from Kentucky’s University of Louisville found in a study on 91 women with fibromyalgia that those who had stronger religious and spiritual beliefs were more resilient to stress and had lower levels of cortisol, as per the International Journal of Psychiatry in Medicine. A lot of studies have found a strong connection between strongly held religious attitudes and less incidence and chances of depression or low feelings. A study by the US Department of Health and Human Services, for example, studied over 600 middle and older aged adults, The study examined and proved that strong religious beliefs in both men and women were found to lower chances of depression, as reported in the Journal of Nervous and Mental Disease. Anger detracts from human relationships and is also associated with increased health risks, as it takes stress levels to a new high, raising blood pressure and if chronic or frequent, it further damages the brain. Research conducted by Ohio State University found praying for the well-being of individuals with whom one is angry or even praying for someone other than one’s self, lowers anger and fosters positive attitudes and emotions. Further, compassion improves overall health, too according to the Personality and Social Psychology Bulletin. Supporting patients with advanced cancer is another benefit of turning to prayer. Numerous studies have found that religious and spiritual beliefs foster a positive outlook to help patients live a better life when faced with advanced cancer. Spiritual support is an important factor. 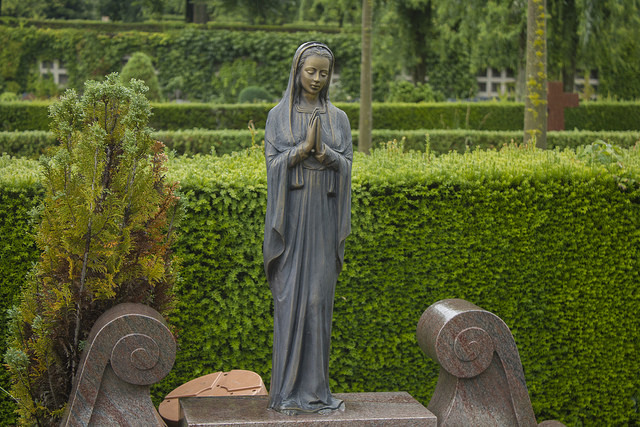 Researchers at Harvard Radiation Oncology Program found that among 230 patients where the cancer was not responding to chemotherapy, 88% of the patients considered religion more important and sought spiritual support. Another study at Mayo Clinic Cancer Center found that religious practice and support with a positive attitude improved the quality of life among patients with advanced cancer, as per the Journal of Clinical Oncology. As against non-religious teenagers, those that sought meaning in religion had better ties with their parents. Further entire families had more satisfying relationships in such cases. When parents try to enforce beliefs youngsters do not share or accept however, relationships are damaged according to the Sociology Quarterly. A UCLA study of 222 men found religious conviction and practice reduced the negative impact of prostate cancer. As the disease most often progresses extremely slowly, improving the patient’s life quality is extremely important. Religious patients were in better mental and physical health and experienced fewer issues in sexual or kidney functioning, according to a report in Psychooncology. Numerous studies have shown religious people of all ages are likely to not smoke. One study looked at the focus of religion on genetic predisposition to smoke, among 315 twins and 1000 pairs of siblings. Even in the event of genetic risk to take up the habit, Colorado University researchers found three aspects of religion namely personal beliefs, participation in religious activities that are organised and being affiliated with a congregation lowered the influence of the genes and the odds of the person starting to smoke, according to Nicotine and Tobacco Research. Among caregivers, caring for dementia patients and surviving death are counted as the most stressful events to be experienced. At the University of Pittsburgh, researchers studied the role of religion among more than 1,200 caregivers. Three aspects of faith reduced caregiver stress improved the mood and fostered a bright outlook. This ranges across attendance at religious services, private prayer or meditation and strength of personal beliefs. 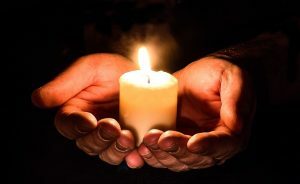 For caregivers who lost their loved ones, attending religious services had the most impact, as per the American Journal of Geriatric Psychiatry. At the University of Texas, researchers studied if people who frequently attend religious services act to maintain good health, as against those who attend less frequently or not at all. Close to 1504 Texan adults were studied, and those who attended church once per week were 60% more likely to get constant dental and physical exams, take vitamins and twice as likely to use seat belts. They were also 73% more likely to walk and 84% more likely to do strenuous exercise and 49% were likely to experience good sleep. Those who attended religious services more than once in a week were half as likely to smoke and three times as likely to consume alcohol on an occasional or moderate basis rather than being heavy drinkers. Canada’s Saskatchewan University looked at the impact of religion on 56 individuals suffering from panic disorder, characterized by the fear that something bad will occur when not expected. Religious people felt less stressed and experienced lesser symptoms of panic attacks, according to Depression and Anxiety. German researchers studied the effect of religious beliefs on the side effects of radiation therapy among 105 patients with neck and head cancer. Based on studies of the religious convictions of these patients, they were categorized as non-believers and believers. Believers were reported to feel better before, during and following the treatment, besides experiencing lower side effects from not just the radiation treatment, but also the disease, as per Starhlentherapie und Onkologie. 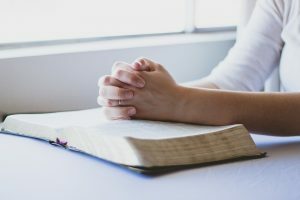 At a leading cancer center in southern California, studies found that religion can help individuals to cope with chronic illness in research on 101 patients with prostate cancer and their spouses. The impact of religious beliefs and practices in the event that spouses or one of the partners were not religious were also studied. Researchers found that if both wife and husband shared religious beliefs and helped individuals to cope with diseases, problems were easily and effectively resolved, as per the European Journal of Cancer Care. Researchers at the University of Amsterdam in the Netherlands looked at the impact of religious upbringing on neuroticism or the capacity to experience negative emotions like anxiety, guilt, anger, and depression and view life situations as threatening or hopeless and difficult. Those with the disposition are impacted by stress. The study examined adults over age 25, including 4369 twins and 1304 siblings from over 2698 families. People with a religious upbringing were less likely to manifest neuroticism when genetically predisposed to this condition, according to Twin Research & Human Genetics. Research of over 100 individuals who were pathological gamblers looked at the impact of spirituality and religion on their ability to overcome addictions. Participants were essentially seeking treatment to ward off compulsive gambling. Researchers found religious individuals had higher levels of well-being and were more likely to recover, according to Research in the Social Scientific Study of Religion. In a Canadian treatment center, researchers studied the effect of religion among 70 individuals with dementia like Alzheimer’s disease. They found those who placed huge importance on private prayer and religious beliefs experienced a slower disease progression. Researchers were not able to identify how this functioned but observed that private religious practice improved mental function to marked degrees, as per research in Neurology. Individuals who consistently attend religious services more than once in a week have an immune system that functions effectively. Religious belief is central to boosting resistance to viruses and other infections and protect against cell damage, according to the University of Iowa study. Researchers looked at more than 500 patients in the study. One of the mechanisms that contribute to longer life among religious people according to Health Psychology. New York researchers surveyed more than 1,600 people to gain a deeper understanding of how religion protects health. 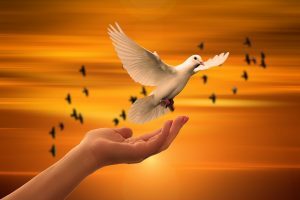 Religious beliefs and practices raised forgiveness and lead to reduced hostility, leading to better health. Other studies have established that hostility raises the wear and tear of the body and contributes to unhealthy cholesterol. This led to elevated BP and blood sugar and hormonal changes that impair optimal functioning. Reactions triggered by hostility are a risk for major diseases like stroke, diabetes and heart disease and these can shorten the life, too, as per the Journal of Religion and Health. Shielding the heart from harm is another benefit of holding religious beliefs. A joint study by Utah State University, University of Utah and Syracuse University found that those holding strong religious beliefs were less prone to heart disease. Researchers also studied the BP and stress levels among the 75 participants and found these to be higher in response to stressful situations for those low on faith. In addition, individuals practicing kindness and viewing God as sympathetic to challenges see the world as less stressful and pave the way for a healthier heart, according to Research on Aging. Married couples sharing religious beliefs, affiliations, and practices are happier than those lacking it, according to the University of Virginia National Marriage Project which studied 1400 Americans aged 18 to 59. Happiest couples were found to share religious beliefs and practices. By promoting ethical behavior and forgiveness, a family-oriented social network will bring a sense of purpose and meaning to life and raise resilience to stress as per the Journal of Marriage and Family. Prayers of others can also benefit your health. A pilot study looking at the effects of distant prayer on patients undergoing high-risk procedures found support for this contention. Research studies on the power of prayer for healing have doubled in the past decade, according to the National Institute for Healthcare Research. NIH is now funding prayer studies through Frontier Medicine Initiative. Harvard scientist Herbert Benson has also been studying the healing impact of praying for others for the past 30 years. Benson explains that meditation impacts the body even as the mind affects it. All forms of prayer evoke relaxation responses quieting the body, quelling stress and promoting healing. Prayer further involves the repetition of sounds and words, thereby accounting for a healing effect. Prayer is meditation for Buddhists, rosary for the Catholics, centering prayer for Protestants and dovening for Jews. But in all its different forms, Benson has studied MRI scans of the brain in terms of the physiological changes taking place in the body when meditation is engaged in. When findings from research by the University of Pennsylvania are combined, what emerges is complex brain activity. As individuals concentrate deeper, intense activities take place in the parietal lobe circuits that control space orientation and establish the distinction between self and the world. A quietude builds through the entire brain. Temporal and frontal lobe circuits, which are associated with self-awareness and track time, become disengaged. Mind-body connection further dissolves. Further, the limbic system is responsible for placing emotional tags on what is considered special, also is activated. Limbic systems are the areas of the brain which regulate relaxation, controlling the autonomic nervous system, blood pressure, heart rate, metabolism, etc. While everyone registers as emotionally significant, the body becomes relaxed and physiological activities are evenly regulated. Prayer is more than just physiological response or repetition, according to Duke University researchers. Religious beliefs have a massive impact on personal health according to researchers documenting 1,200 studies on the effects of prayer on health. Studies further show religious people tend to live healthier lives. They are able to avoid smoking, drinking and even getting sick. Separate studies conducted at Dartmouth, Duke and Yale Universities showcase. Several statistics from these studies point to the power of prayer. Firstly, hospital patients who have never attended church stay 3 times the average stay of hospitalized patients who attend church service regularly. Further, heart patients were 14 times likelier to die following surgery if they did not believe or participate in a religion. Additionally, seniors who never or sometimes attended church had 2x times the strokes rate compared to those who attended church regularly. A study in Israel further found religious people had 40% lower death rates from cancer and cardiovascular disease. People who are more religious are less likely to become depressed. When depressed, they are also more likely to recover quickly from it. This impacts physical health and the quality of lives. The goal of prayer therapy is accomplishing healing. Religious as well as spiritual practices across the world help to cope with and treat health illnesses. These tools are referred to as alternative/integrative or complementary medicine. While these holistic practices may be stigmatized or taboo, a growing amount of scientific evidence supports these modalities. A commonly under-reported but an effective spiritual tool is to pray. 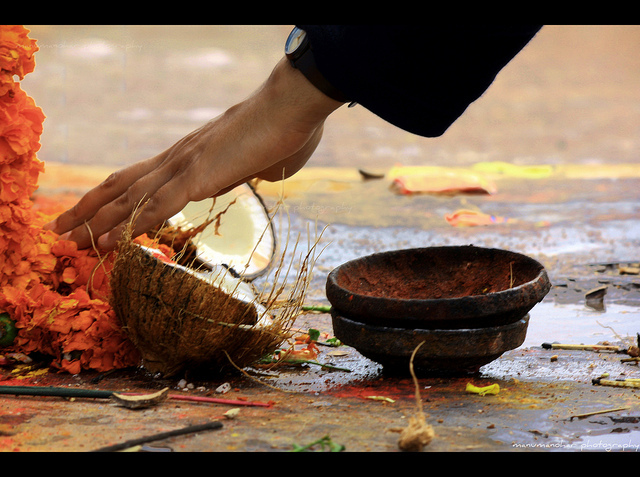 According to psychologists, prayer is a conversation with the sacred and all the major religious traditions foster inclusive prayers. Prayer can be as ritualistic as repeating statements or as unstructured and spontaneous. Prayer is central to spiritual existence and can be used as a tool for improving wellbeing. People are most likely to pray when needs are greatest. More than 55% of the Americans prayed each day. Prayer may be frequently resorted to in times of crises. It is also habitual and considerable for Americans each day. Colloquial: Expressing gratitude to God for things. Intercessory: Praying for the well-being of others. There are many kinds of prayers and ways in which these can be used to improve mental health. 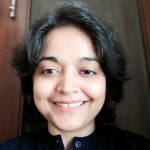 Techniques range across meditation, psychotherapy, audiovisual resources and religious services include prayers to improve mental health and well being. Research also suggests spiritual techniques can lead to less stress and depression and reduce clinical symptoms like anxiety. The relationship between prayer and spiritual health is a deep one. Private as well as public prayers predicted better spiritual health. Both forms of prayer increased participant closeness to God and build a stronger sense of self-identity. Scientists also hold that praying for oneself and others have become beneficial for spiritual health and relationships. Prayers have a lot of positive impact on one’s own health as well as others. By praying, patients can boost mental health, self-esteem, and self-identity in clear and measurable ways. Prayer has a lot of benefits for tackling mild as well as serious medical conditions and physical as well as mental health problems. Choose prayers to heal yourself and release the tension, safeguarding your health and keeping you fighting fit, in times of stress and pressure.